We’re thrilled to announce that we’ve been shortlisted as a finalist in the 2016 SXSW Interactive Innovation Awards. 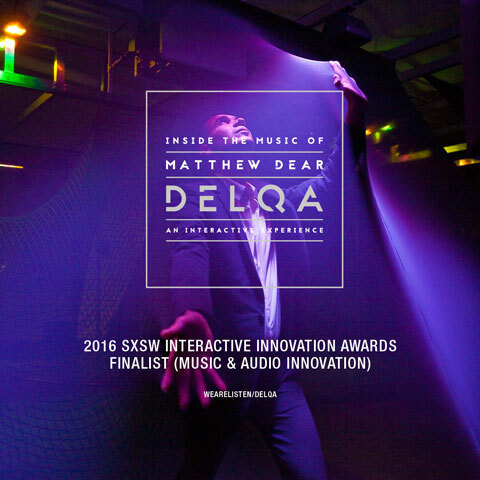 As part of our ongoing music program for Microsoft, we created an installation that invited the audience to physically go inside the music of critically-acclaimed music producer and artist Matthew Dear–all powered by Kinect technology. View the behind-the-scenes video here.